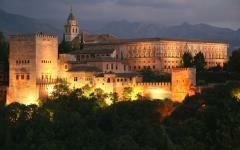 This Spain travel agency was wonderful!! We communicated both by email and Skype. They adjusted their hotel recommendations based on our requests and somehow found pretty much what we were looking for. They were the right size and in the right locations . Our train reservations were perfectly timed. The few tours they booked for us were, for the most part, what we were looking for. For the amount of time we had allotted for the trip, we did not feel rushed and had adequate time to do what we wanted. Maria met us our day of arrival and provided invaluable insight into negotiating Madrid and made us feel most welcome. 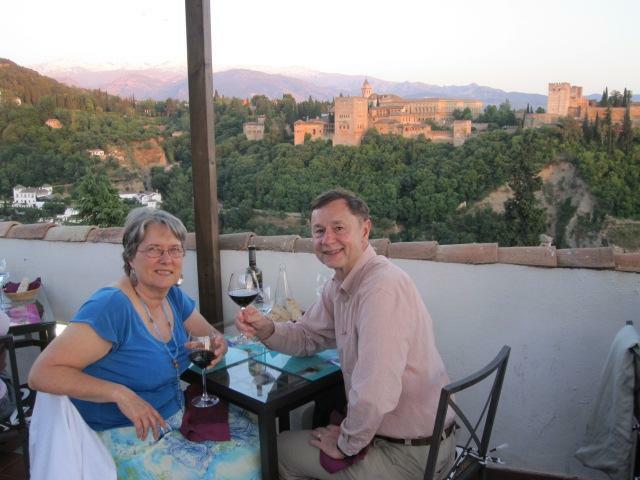 This was our 40th Wedding Anniversary trip (actually 25th postponed). It met and in most ways exceeded our expectations. From 3 nights in Madrid from an ideal base hotel, we were able to walk almost everywhere, to a night in Cordoba, 2 nights in Sevilla and 2 more in Granada it would hard to identify the highpoint of the trip. 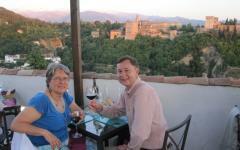 Our anniversary dinner at Las Estellas watching the Alhambra as the sun set was a special moment. We hope to take it again!